"Leslie & Alan made us feel very much at home and was very helpful with local arrangements! We also had kitchen privileges and were able to cook dinner." "This was the best place I've ever stayed at anywhere. It was "grand" in every way." This was an exceptional B&B with warmth and hospitality. Highly recommend to family and friends." "Wonderful generous hosts. Extremely accomodating. Felt like family." 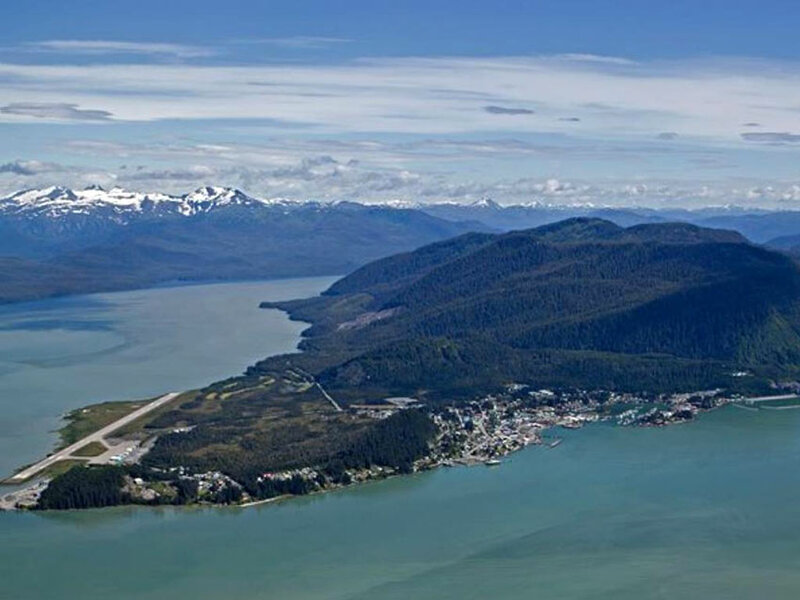 Wrangell, Gateway to the mighty Stikine River is a historic town and the only community in the State of Alaska that has been ruled by four nations, Tlingit, Russia, Britain, and the United States. 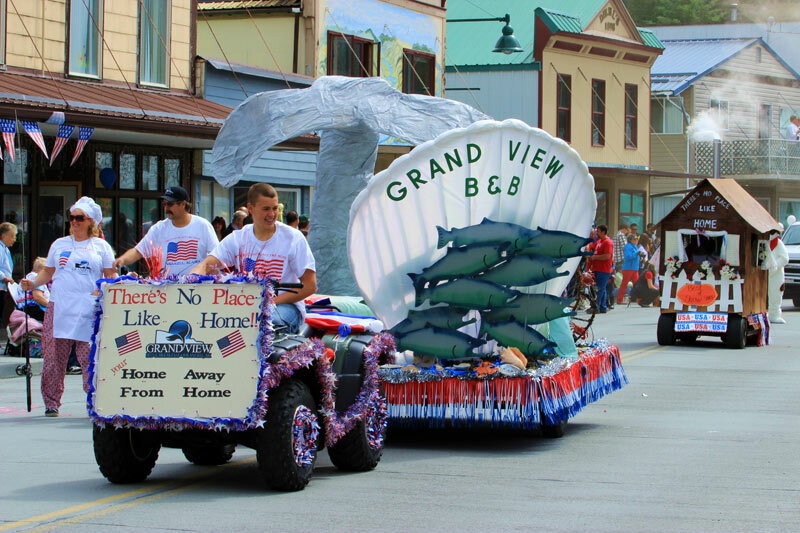 Wrangell is noted for it's friendliness and Alaskan hospitality offering a true taste of small town Alaska life, what you see is what you get! You will enjoy the frontier atmosphere and your hostess will point you in the direction of the many year round activities the community has to offer. Photographers find countless opportunities in our local marine and wildlife activities. The migratory waterfowl and bald eagles are a delight to bird watchers. While in Wrangell you may notice the clean air and clean water. For the most part our streets and neighborhoods are well tended and there is a sense of pride in our community. If you should need health care while in Wrangell, the facilities are well staffed and ready to serve you. 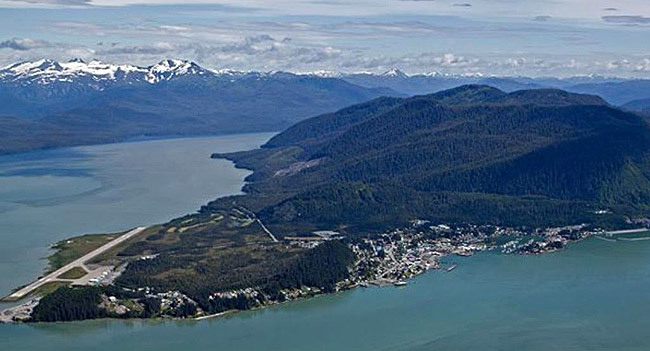 While Wrangell is definitely rural and remote at the same time it is easily accessible. Wrangell is located north of Ketchikan and south of Juneau, Alaska, the state's capital. Travel to Wrangell is easy with Alaska Airlines daily jet service from Seattle northbound or Anchorage southbound. You may also travel on the Alaska Marine Highway system out of Bellingham, Washington or Prince Rupert, B.C. Wrangell Island is approximately thirty miles long and thirteen miles wide, a community of about 1,500 people set amid the forest and mountains of Alaska's Innside Passage in the middle of the Tongass National Forest, one of two national forests in Alaska. Wrangell's climate is mild with temperatures ranging from freezing to the mid-70's, seldom hitting freezing or the 70's. Rain is most common. 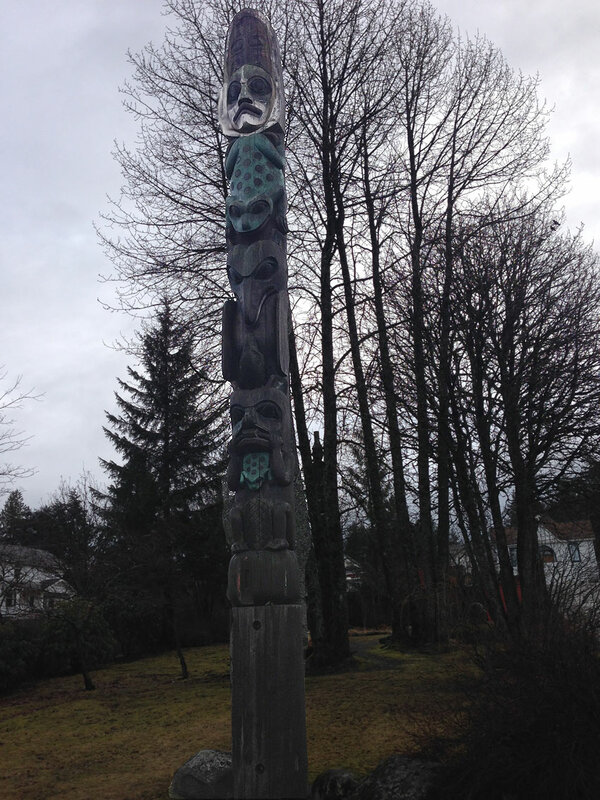 Developed as a trading post for the native Tlingit and early white settlers, Wangell was incorporated in 1903. The town was twice decimated by fire in 1906 and 1952. Wrangell's time line has seen mining, fishing, timber, and tourism as the main source of its economy, however, constraints on the timber and fishing industry has shown a devasting decline in its economy. 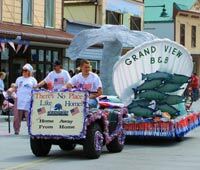 Grand View Bed and Breakfast is located at 1.9 mile Zimovia Highway. Taxicabs and rental cars are available. We offer our guests courtesy transportation on arrival, departure, going to town for dinner, and to points of departure for boat tours. Click here to begin our slideshow of scenic photos.